What's the difference between 3 Way and 3 Terminal Sockets? 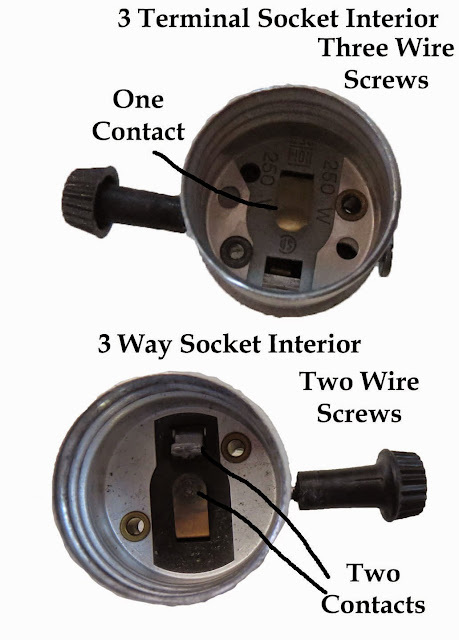 3 Way sockets have two contacts inside the socket and are made to burn 3 way bulbs. If you look at the bottom of the 3 way bulb there are two contact points on the bulb to match the contacts in the socket. 3 way bulbs have two filaments inside the glass. The 3 way socket allows the filaments to burn independently or in tandem. 3 Way sockets will burn a standard bulb, but there will be an extra rotation from on to off. 3 way sockets are turn knob or pull chain sockets; they will never be keyless or push-thru. Mogul sockets are also 3 way, but require a mogul bulb. 3 Terminal sockets are often confused with 3 way sockets but work completely different. They are designed to run an additional circuit; mostly used for another keyless socket. They are commonly found in 3 tier lamps or Gone-With-The_Wind style lamps. 3 terminal sockets have only one contact with the bulb. The 3 terminal socket has 3 screws on the bottom for the wires to connect to the different bulbs. 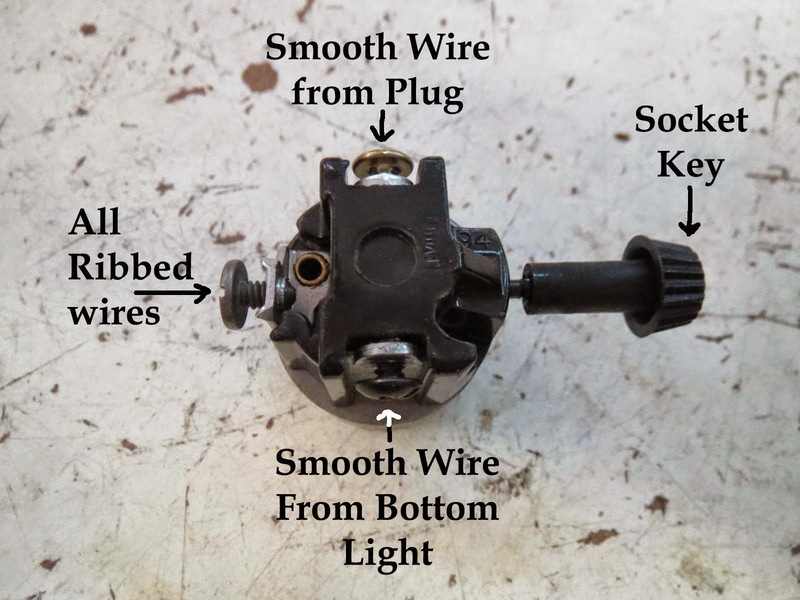 The broad headed screw connects the two smooth wires from the plug wire and the other socket. The brass screw connects to the smooth plug wire and the black screw connects to the smooth wire going to the other socket. If you are repairing a lamp and come across one of these types of sockets, you have just entered the next level of repair. Congratulations!